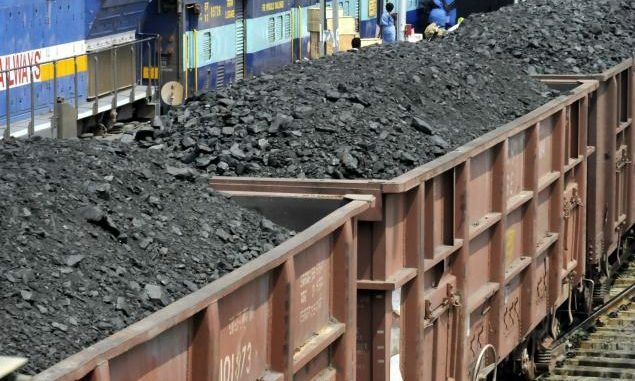 Coal production and dispatch data for Coal India and SCCL are updated to January, with the share dispatched to the power and non-power sectors lagging one month behind. 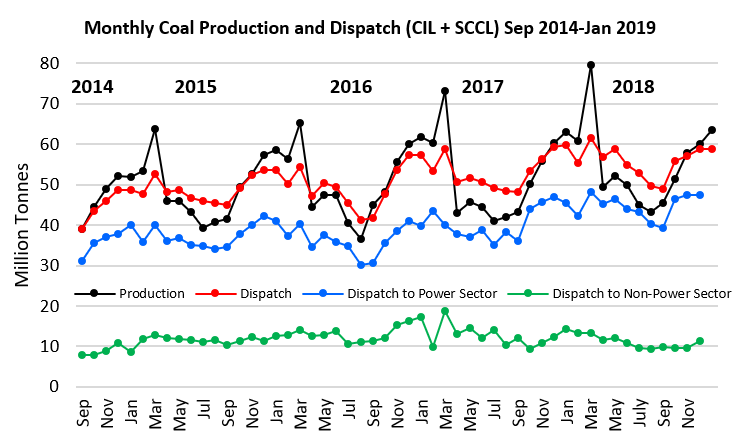 The recent rise in coal dispatch has moderated, being clearly surpassed by production in January. 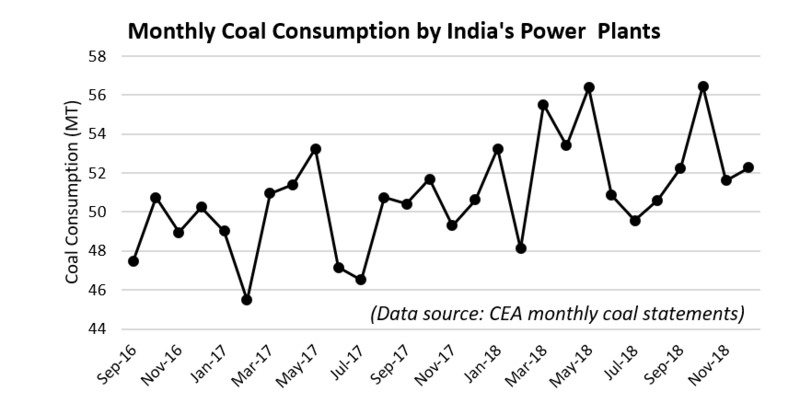 December saw only a slight rise in coal consumption at India’s power stations, a pattern of change from November also seen in each of the two previous years. 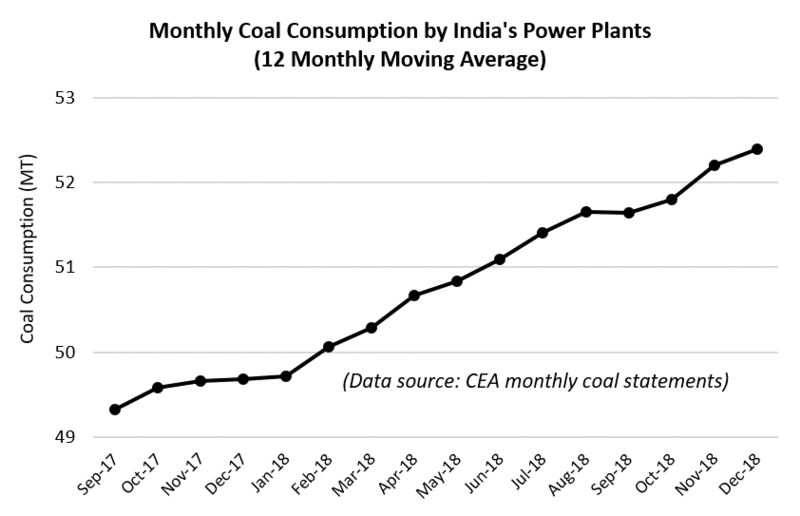 The big mover this month is the coal stockpile situation at India’s power plants. 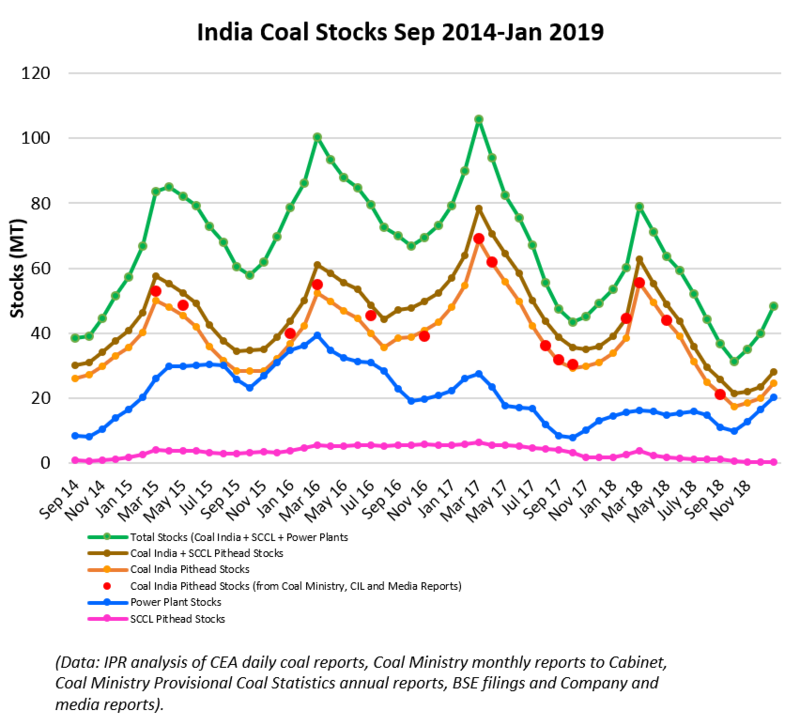 The seasonal increase has continued strongly, with stocks surpassing the 20 milion ton mark in early February. 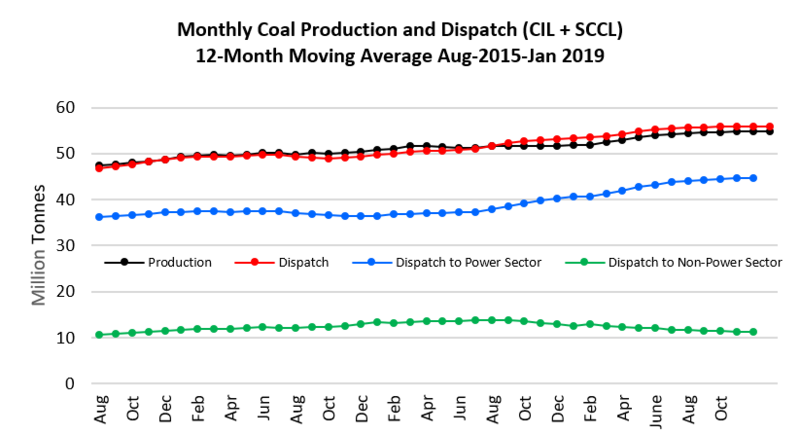 The second graph, showing the stocking rate, suggests a more consistent stocking rate of about 100,000 tons per day – much steadier than in the last few years, and bringing the likely peak stocks to a significantly higher level than last year (notice the much less variable heght of the blue area in recent months compared to previous years). 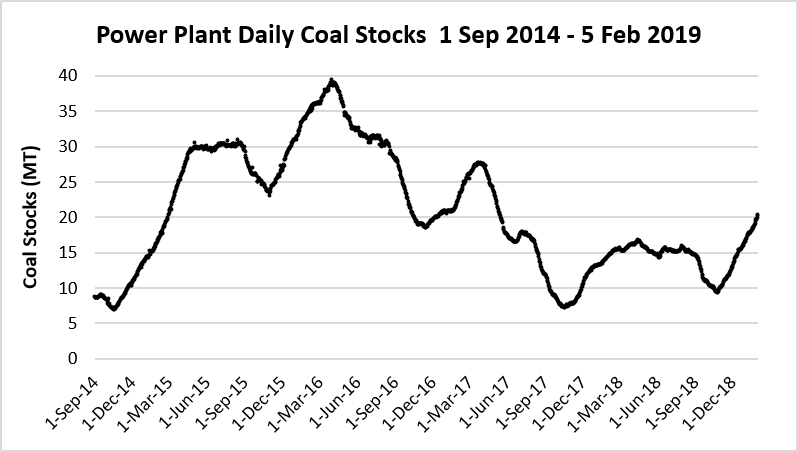 It is not only at the power plants where coal stocks are on the increase. 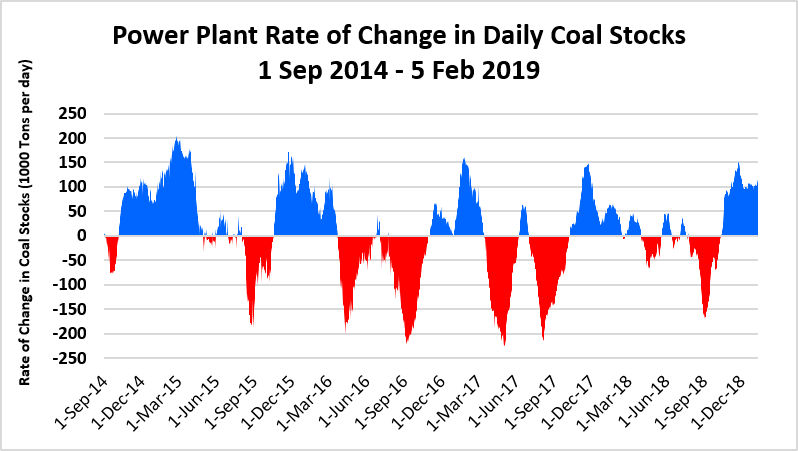 Coal India in particular is re-building pithead stocks as well, so overall coal stocks have increased by more in the last two months than in the corresponding period for the last two years.